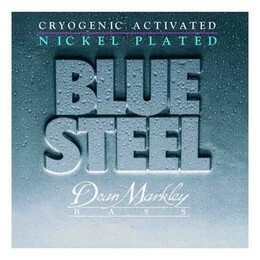 Blue Steel strings are the world’s first and finest Cryogenic-processed strings. Blue Steel strings are a total breakthrough in string technology. Starting with the very finest quality materials, Blue Steel strings are frozen to minus 320 degrees Fahrenheit, held there for an exact period of time and then slowly and carefully brought back to their original temperature. This unique Cryogenic treatment realigns the molecular structure of the string, giving Blue Steel more highs and lows, a longer life, and greater ability to stay in tune.